Hair fall is a common issue in men and women nowadays whereby the threats of internal and external factors have risen and posed dire threats to one of the most treasured physical appeals. Hair fall is one of the common issues in men and women which has led to a great deal of moral let down and embarrassment due to inability to have the proper amount of natural charm that makes you confident about yourself. Resulting from genetic, hormonal and certain external factors; hair fall seems at times something unstoppable and the rate of hair loss is at times highly alarming. However; before rushing for medical help there is always the safe and natural way to deal with this grave beauty threatening condition. There are many hair treatments and Natural remedies for hair fall through which you can curb; if not fully halt the excessive hair loss and ensure the conditions favorable for re-growth of hair. Some of the ways and means you can do that naturally are listed below. ROSEMARY OIL– Massage scalp with rosemary oil; which is known for increasing the blood circulation of the area it’s applied on. The increased blood circulation will promote better nutritional and developmental process in the scalp which will automatically help strengthen the roots and hair follicles and halt hair fall. it is one of the most effective hair loss treatments with multi benefits. BIOTIN – Take biotin food and supplements because this vitamin is renowned for its facilitation in hair growth and scalp health. Certain food edibles such as rice, green vegetables and nuts have a rich source of this vitamin and should be made use of. KERATIN – Ensure a raised intake of Keratin which tends to boost the strengthening of the hair follicles and eventually halts the process of hair fall. Keratin Treatment is also an option open if your want good hair results with professional assistance. RESTRICT MEAT INTAKE – One of the preventive hair care measures that can assist in stopping hair fall is to reduce or minimize the intake of meat which according to medical research causes hormonal imbalance which is one of the major causes of the falling of hair. IODINE SALT– An underactive thyroid gland is also a cause of hair issues and that is why ensure a good amount of iodine intake; which for men is a blessing as it tends to initiate re-growth in them; serving as one of the greatest preventive Natural remedies for hair fall through diet. IRON– Take a regular dose of iron because it is one of the essentials required for stronger hair which in itself is a cure for hair loos and the deficiency of this vitamin leads to anemia; which is a dire condition that has a high rate of hair fall. SILICA– Natural remedies for hair fall / hair loss are the best and safest cures for People having acute hair loss problems who should aim at a nutrient boost with the use of minerals such as silica and zinc which are highly recommended for re-growth of the hair. 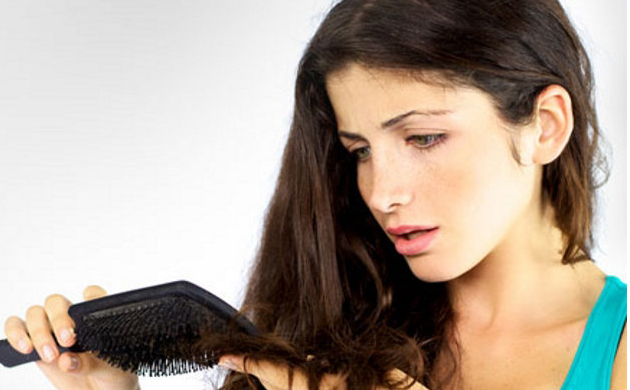 Vitamin B complex is also one of the recommended supplements that play a crucial role in the problem of hair fall. VITAMIN E -Nourishing and moisturizing is the best beauty tip ever and for hair loss it is no exception. Vitamin E is medically acknowledged for providing nourishment to the hair; especially damaged and weak hair. Its antioxidant properties promote keratin production in the body and stops hair breakage and hair loss.